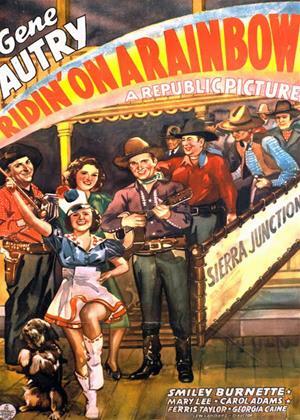 Gene Autry, Smiley Burnette, Mary Lee et al. As a showboat docks in town, horseman Gene Autry and friends are preoccupied by a recent cattle deal. Gene tells his partners to deposit their earnings in a local bank, and they follow his advice. But soon the bank is robbed by showboat crewman Matt Evans and his pals. As Matt enlists his naive daughter, showboat performer Patsy to help hide the money, Gene and sidekick Frog Millhouse set out to retrieve their friends' stolen cash.